interactive and physically enduring. The course is a comprehensive training program that promotes objective driven and performance based training for individuals wishing to obtain a new International Lifeguard Training Program (ILTP™) certification for traditional swimming facilities. The ILTP™ New Special Facilities with Open Water Lifeguard course﻿ includes open water environments such as lakes, beaches or oceanfrontareas. as an individual and multiple rescuers in various depths of water in an open front setting. 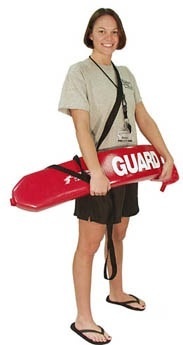 This ILTP™ Lifeguard is valid at any aquatic facility in the U.S.﻿ while the ILTP Special Facilities with Open Water Lifeguard certificate includes wave and open water environments. The ILTP Lifeguard certificate is issued immediately﻿ following successful completion of the course and is valid for 1 year. 1. Minimum 15 years old. 2. Swim 200 meters continuously using front crawl (free style) or breaststroke. 4. Tread water 2 minutes using legs only.